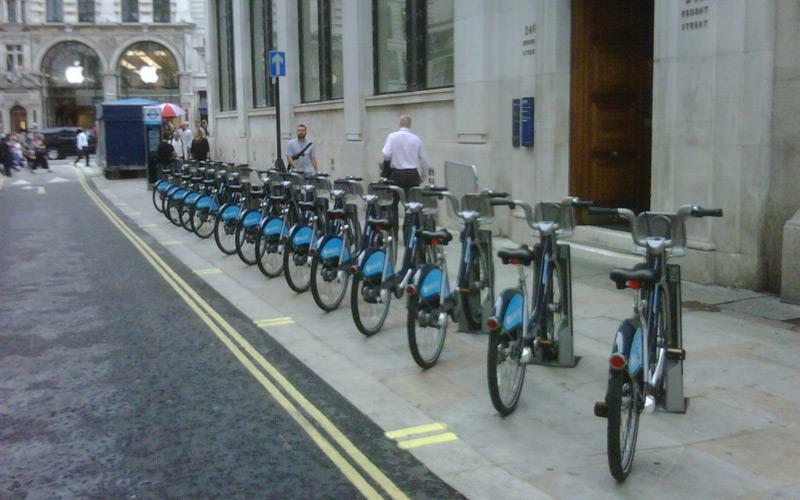 Parking spaces for scores of motorcycles have been replaced by ‘docking stations’ for push bikes in the London Mayor’s flagship cycle hire scheme. Eight motorcycle bays, each thought to have accommodated up to 20 motorcycles or scooters, have been replaced by cycle docking stations in Boris Johnson’s scheme, which received £25 million sponsorship from Barclays. In Westminster, where extra motorcycle parking was promised in return for a new £1 daily charge, dozens of motorcycle spaces have been replaced. A bay for at least 20 motorcycles has been scrapped to make way for one docking station on Little Argyll Street, near Oxford Circus.